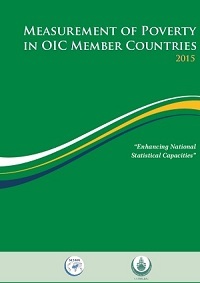 This report highlights differences between men and women in selected social and economic aspects and provides insights into the current state of family well-being in OIC member countries in a comparative perspective. 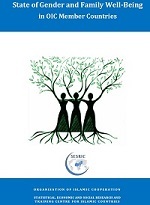 Four important aspects of social and economic life, namely education, health, violence and social security are examined from a gender-equality perspective. The report also highlights the role of women in decision-making process. Finally, the report elaborates on the role of non-governmental organizations (NGOs) in creating a more enabling environment for empowering women and family well-being in the OIC countries. The report concludes with specific policy implications for addressing gender equality, empowering women, and improving overall family well-being in OIC countries. Poverty is a complicated and multi-dimensional phenomenon that goes beyond the monetary aspects. In fact, it is associated with poor economies, poor human resources, poor social services provision, and poor policies to tackle the challenges facing human and socio-economic development. Poverty also arises when people lack access to adequate civic amenities like education and health services. Therefore, the status, the determinants, and the policy measures required to eradicate poverty would, by definition, vary from one country to another. This publication, edited by Prof. Savas Alpay, former Director General of SESRIC, and Mohamed Aslam Haneef, Professor at IIUM, presents the output of two-year collaboration between SESRIC and the Centre for Islamic Economics of International Islamic University of Malaysia (IIUM) on a research project that covered three OIC countries namely, Malaysia, Indonesia and Bangladesh. The research project aimed at developing an integrated Waqf-based Islamic microfinance model to optimize the use of combined resources of Waqf and Islamic microfinance institutions in OIC countries with a view to enhancing the effectiveness of IMF and Waqf institutions in addressing the socio-economic needs of the society, particularly through effective poverty alleviation programs.